Synopsis: Don't ever get it wet. Keep it away from bright light. And no matter how much it cries, no matter how much it begs...never, ever feed it after midnight. With these instructions, young Billy Peltzer takes possession of his cuddly new pet. Billy will get a whole lot more than he bargained for. "Gremlins" is hilariously funny and wickedly scary. One minute you'll hide your eyes in fright, the next you'll hold your sides with laughter. If you say "The Howling," "Innerspace" or "Matinee," you've already experienced director Joe Dante's delirious visual magic. Here those skills are on breathtaking display; the result is a roller-coaster ride of wild originality. Don't ever get it wet. Keep it away from bright light. And no matter how much it cries, no matter how much it begs...never, ever feed it after midnight. With these instructions, young Billy Peltzer takes possession of his cuddly new pet. Billy will get a whole lot more than he bargained for. 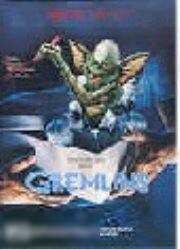 "Gremlins" is hilariously funny and wickedly scary. One minute you'll hide your eyes in fright, the next you'll hold your sides with laughter. If you say "The Howling," "Innerspace" or "Matinee," you've already experienced director Joe Dante's delirious visual magic. Here those skills are on breathtaking display the result is a roller coaster ride of wild originality.